Professor Breen argues that the Meiji emperor played a pivotal role in the construction of modern Japan’s power relations with its Western and Asian neighbors. Discussions of the Meiji emperor are absent from diplomatic histories; diplomacy does not feature in studies of the Meiji emperor. The emperor’s role was a dynamic ritual one. At the heart of the strategy which he deployed was the distribution of ornaments: the collars, cordons, medals and ribbons of the modern Japanese honors system. This was part of an active exchange that enabled the emperor to engage immediately with the sovereigns of Europe and Asia. Professor Breen will explore the fashioning of the modern Japanese honors’ system in early Meiji, and its deployment by the emperor in rituals of diplomacy conducted in the imperial palace up until the outbreak of war with China in 1894. He will note the contested nature of this emperor-centered diplomacy, and make special reference to the ornamental dimension of Japan’s relationship with Britain, Russia and Korea. He will interrogate the role of ritual, and the exchange of gifts, in modern Japanese diplomacy but, ultimately, seek to demonstrate simply that the Meiji emperor was indeed a key player in the construction of modern Japan’s power relations. Born 1956 in the UK; BA, MA and PhD Cambridge University. 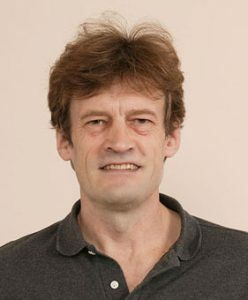 Before assuming his current position he was a senior lecturer at SOAS (University of London). Publications include A Social History of the Ise Shrines (coauthored with Mark Teeuwen, Bloomsbury, 2017)and “The Nation’s Shrine: Conflict and Commemoration at Yasukuni” in The Cultural Politics of Nationalism and Nation-Building: Ritual and Performance in the Forging of Nations (Edited by Tsang and Woods, Routledge, 2014). 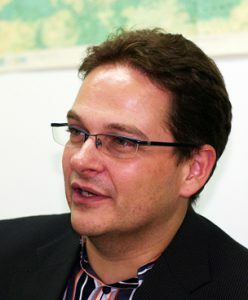 After earning a Ph.D. in Japanese Studies from Bonn University, he was Lecturer at Marburg University, Head of the Humanities Section of the German Institute for Japanese Studies (DIJ) and Associate Professor at the University of Tokyo. He has written a monograph on history debates in Japan in Politics, Memory and Public Opinion (IUDICIUM Verlag, 2005) and articles on the history textbook controversy, the Yasukuni Shrine issue and the historical development and significance of Pan-Asianism.